Let’s face it, it can be incredibly difficult to get outside and move around during the winter months. While it is much easier to find the energy to go outside for a run or head over to the gym when it’s warm, doing so in cold weather can be challenging. However, do not let the cold weather stop you from completing the fitness new year’s resolutions you made. Instead, try out these five ways to stay active during the winter months. There is perhaps no better way to stay active during the winter months than with a good home workout routine. A good home workout routine can mean anything from purchasing a fitness DVD to complete several times each week to simply doing ab exercises in the comfort of your living room while you watch tv. Regardless of the exact exercises you choose to implement, the important thing is to not let winter slow you down, but instead find workout exercises that can be done inside your home. 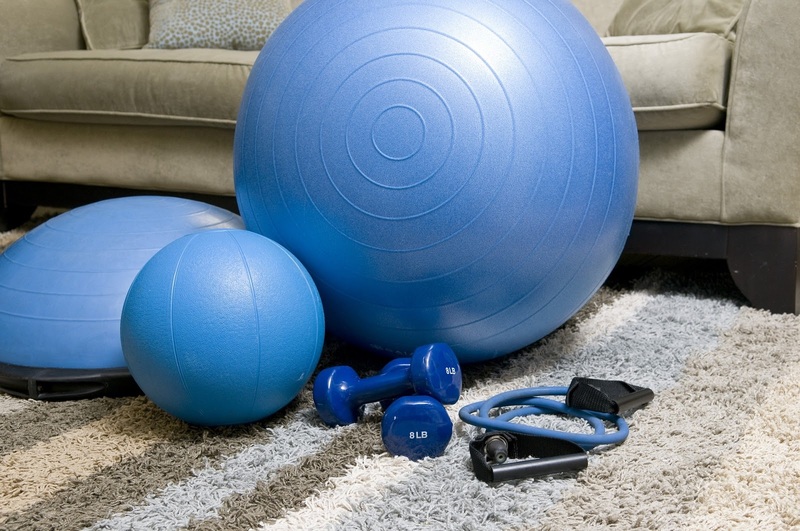 For those who like the idea of a home workout during the winter, but they need more than plyometric exercises, you can always create a home gym inside your home. Of course, creating a gym inside your home is going to require space, but perhaps not as much space as you may anticipate. In many cases, by simply dedicating a section of the garage to building a home gym or turning an unused room inside your home into a home gym is all it takes to make it happen. Staying active at home during the winter months does not have to be strenuous, and it can be as simple as getting up and moving around while cleaning the house. For those who hate a messy home and want to stay active, cleaning the entire house is a great way to burn some calories and stay in shape this winter. For those who fear cleaning the house is not enough exercise, try cleaning the entire home and you will quickly find that it is just as much a workout as anything else. Yoga is another great way to stay active at home during the winter. Yoga is a fantastic way to stay in good health, burn some unwanted calories and keep your body feeling great throughout each and every day. For those who do not mind exercising in the morning, yoga can also be a great way to get your day started. All you need for a good yoga workout routine is an area of the home, a yoga mat and perhaps a yoga training video. Do not let the cold weather stop you from getting outside in your yard and enjoying some fresh sunlight or some fun in the snow. If you have kids, then getting outside and playing fun games such as hide and go seek can be a great way to stay moving during the winter months. Try not to think about how cold it is, and you should quickly warm up after a few minutes of moving around.